Maybe trying to change the world is not a good thing…or is it? 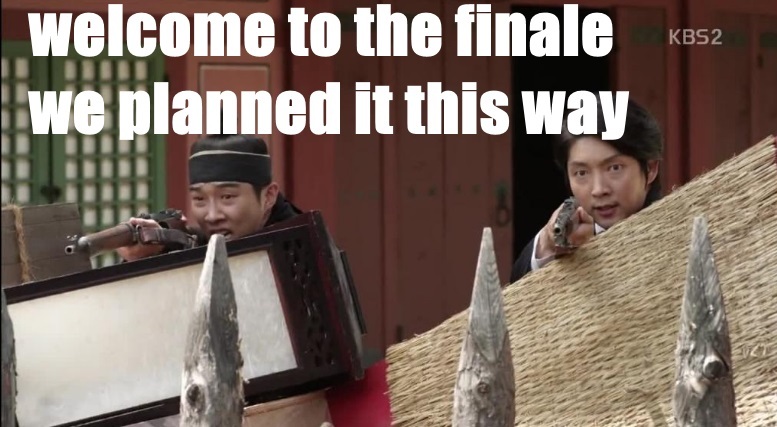 Bullets ripped through palace courtyards and all mayhem broke lose as Joseon Gunman aired its final episode yesterday. Joseon Gunman ended its 22 episode run on a high note- coming in first place in the ratings with 12.8%. Time for a Stone Cities series review. Cheers! For first impressions please see here. For a mid-series ramble you can check out this post. Lore: The cast and the cinematography. This drama was well shot with gorgeous leads (no, I am in no way focusing on Lee Joon Ki, nope). I love historical dramas that deliver a vivid look at the past – beautifully colored hanboks fluttering among courtyards. Yangban scholars discussing politics over tea. 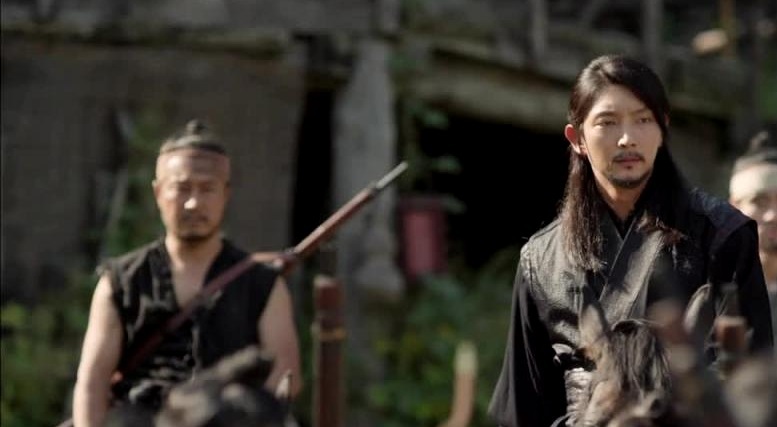 Joseon Gunman delivered in the visually stunning department – with the people and the sets and the costumes and the people and Lee Joon Ki. 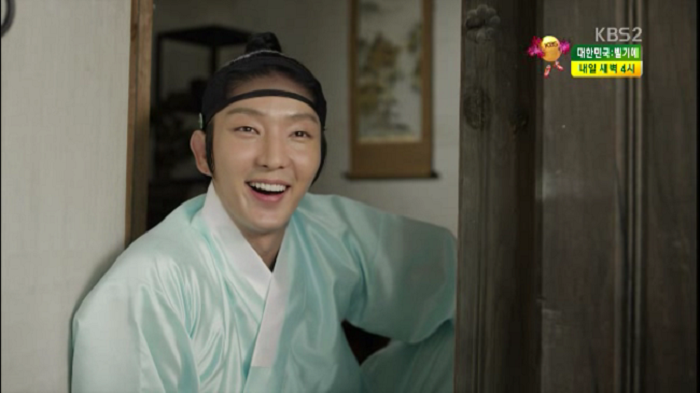 Especially Lee Joon Ki. Lore: So…this was a ginormous heap of social commentary parading as a love/revenge story (also known as “do not judge a book by its cover”). 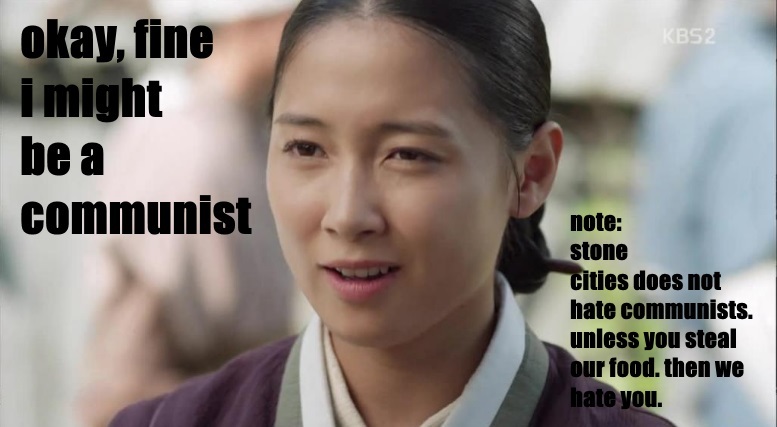 In the end Joseon Gunman was more about fighting for what is right, standing up against those more powerful than you, and not settling for the status quo. 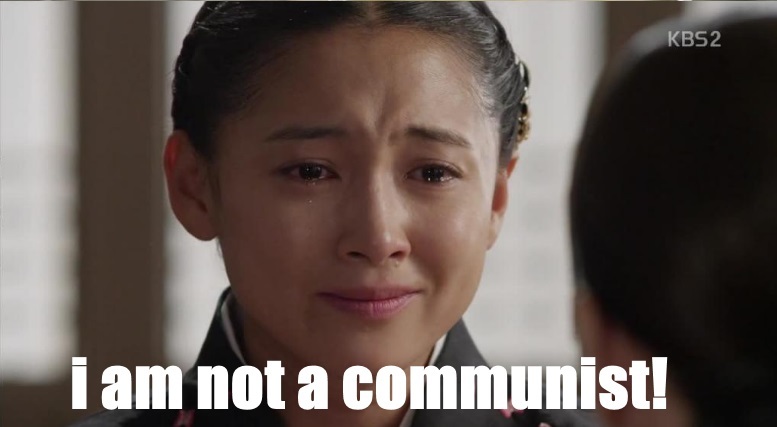 Which is a wonderful message and a consistent one (Soo In was always spouting that commie stuff after all- and teachers dropping like flies kicked off a chain of events that ended in Lee Joon Ki sporting an amazing mane of glory). 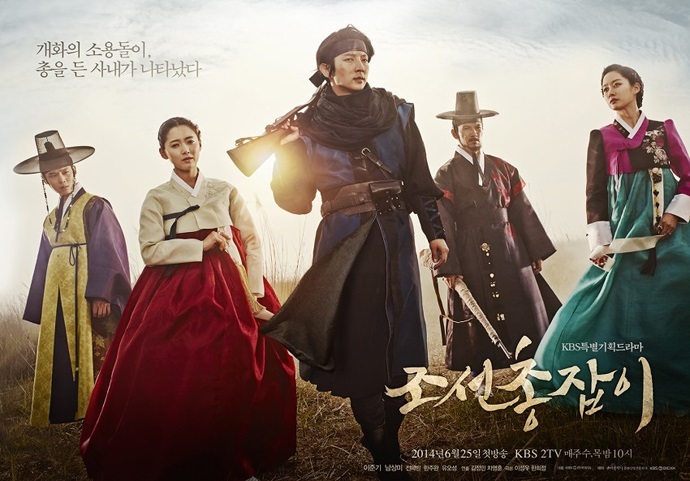 Yoon Kang’s revenge plot absorbed a good portion of the middle of this drama, however the message of reform, enlightenment, and progress were never lost in the details. These concepts were splashed across nineteenth century Asia (the time period in which this drama was set) with far reaching consequences that shaped the region for decades; seeing these historical elements woven through our character’s lives was satisfying. I am a history nerd, so going into this drama I was curious how the historical events of the time period would affect our characters (without our characters being overwhelmed by the history). I am happy that we were able to focus on our main characters but still see an important slice of the past played out. I particularly appreciated how the inter-country dynamics were shown (Qing China versus Japan) and how the political maneuverings of the yangban led the intrigue. Thanks show. For this and for the history. Ekun: I loved what this show was trying to say overall. Right is right, and shady means are not going to right a wrong. While I was enthusiastic about the scholars preaching change, I was glad we had a character like Yoon Kang who was about change for the people, the right way. The scholars, while intended good things, were no better than the “conservatives” and the supporters of the crown. For they only saw the enlightenment but never really cared or truly understood the weight or struggle of the common man. And though I am always down for the cause; it should never make me question my moral integrity or lose sight of those that are important. 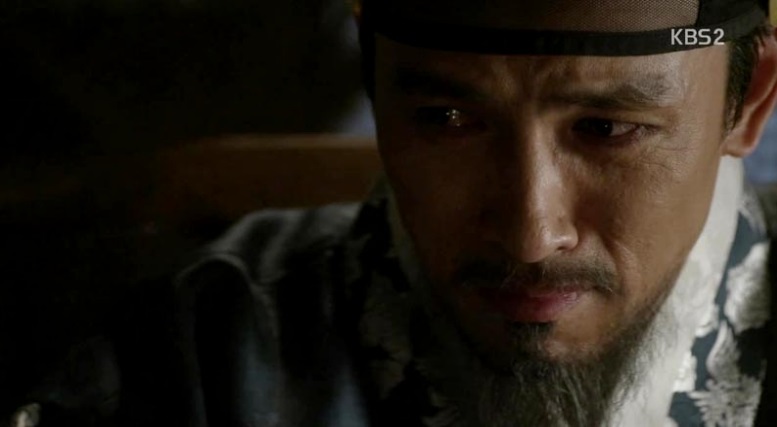 Lore: Choi Won Shin was a great villain in my opinion; largely because once you knew his history you could understand how he got where he was. His daughter was sold into slavery and raped. He spent years groveling at the feet of noblemen, being constantly reminded of his lowly status. He had no way to rise up and out of the merchant class but to work with the same noblemen that mocked him. In the end that method was not a way out of his status; murder and scheming pulled him to the top and his elevated status ended in his death. Essentially Won Shin and Yoon Kang were working towards the same thing – they were frustrated with social castes and the constrictions they brought about – they just went about attempting to “fix” the status quo in different ways. While Won Shin took a more personal, greedy approach to breaking the social status ties that bind, Yoon Kang went all out and tried to break such ties for everyone. While Won Shin did a lot of horrible things, I could understand how he got to that point. The mark of a great villain is not necessarily in their evil deeds but how much their motivations invoke fear mingled with pity and dashed with comprehension. It is most frightening when you consider how you would react given the same past, the same situations. Won Shin made me consider my own actions if I was living his life, which makes him a great villain indeed. Ekun: I will have to disagree Lore Unni, while I really liked how one can sympathize with Won Shin– I do not think he and Yoon Kang were trying to achieve the same goal. Won Shin never cared about anything around him, or even where he came from, as long as he got what he wanted in the end. His goal was not to change the caste or even change the status quo– Won Shin chose to seize opportunities that will move him and his own (Hae Won) to where he thought they deserved to be. I did like and appreciated Won Shin in my own little way. I never wanted him to accomplish his goals because they always conflicted with what is right. However, I was willing to throw sympathy his way (just a little for a little while) and even appreciated his demise at his own hands much more than I thought. Lore: There was a lot that happened in the last hour, so much so I was left wondering why the writer had not inserted the thrilling life or death that felt like life or death scenes earlier in the series. Going into the finale (with a sweet kiss opening the episode no less) I was not expecting much beyond a showdown between our hero and he-who-won’t-die villain. Instead I was given an hour of soldiers and epic multi-nation gun battles. Characters died, our leading lady was shot. Oh, and then there was me clutching a box of tissues and shoveling ice cream in my mouth as the noble Ho Kyung sacrificed himself. I was verklempted, okay. I guess it just felt like there was too much story contained in this one hour and the drama would have been better off if they had introduced these plot twists in episode 20 or 21 and played out the aftermath in a less fast paced run for the finish line. I didn’t hate it at the end of the day, but I do think it was a misstep to pack so much into the last hour of the show. Ekun: I totally agree, but it wasn’t just the last episode in my opinion, it was the last 2. While I knew the show was only extended because of Blade Man’s casting issues, it was a bit of a mess. Of the last few dramas I have watched, I feel like the writers, producers, directors, etc. are having a real issue with knowing how to make swift and clean resolution. Either we reach the point to soon and leave viewers no longer care (You’re All Surrounded), or the climax is so far down the road you have to rush to make it right (Trot Lovers)… It’s just my opinion. Ekun: I hated Jeonha until the bitter end. Here we have someone who you thought we could be down for, because he was always trying to bring about a positive change even if he did not have all the power. 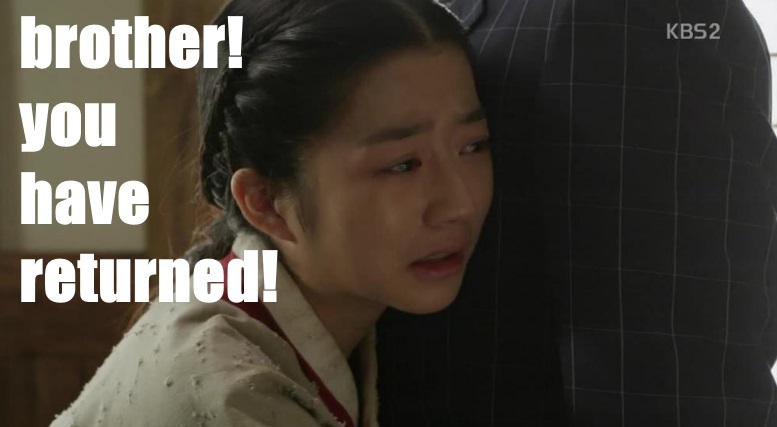 But then halfway through the show, he becomes a spineless *Censored* that has the audacity to tell Yoon Kang to make nice with the man who killed his father?! *Censored*! *Censored*! Blah Blah Blah *Censored*! I would have really enjoyed him playing two against the middle and being a bit more cunning like his wife (but with good intentions) but the fact that he didn’t do anything but get played like a fiddle really pissed me off. In Conclusion Joseon Gunman did have minor disappointing aspects, but none that can’t be overlooked for the sake of the good outweighing the bad. It is highly recommended to have a look– and trust your time will not be wasted!